This year's class of returning Sundance vets recall lessons learned from festivals past, like, how to temper expectations. Director Drake Doremus Wins the Grand Jury Prize For Dramatic Film For the Film ‘Like Crazy’ at the 2011 Sundance Film Festival. Filmmakers around the world harbor the same fantasy: I’m going to make a film so good that it will play the Sundance Film Festival, score rave reviews, sell in an overnight bidding war for a multi-million-dollar minimum guarantee to a major theatrical buyer, open in packed theaters around the country, and launch my career. Truth is, this hardly ever happens. We checked in with a group of lauded Sundance filmmakers, all who are returning to the festival this year with new films, to glean what they learned the hard way from their Sundance experiences. 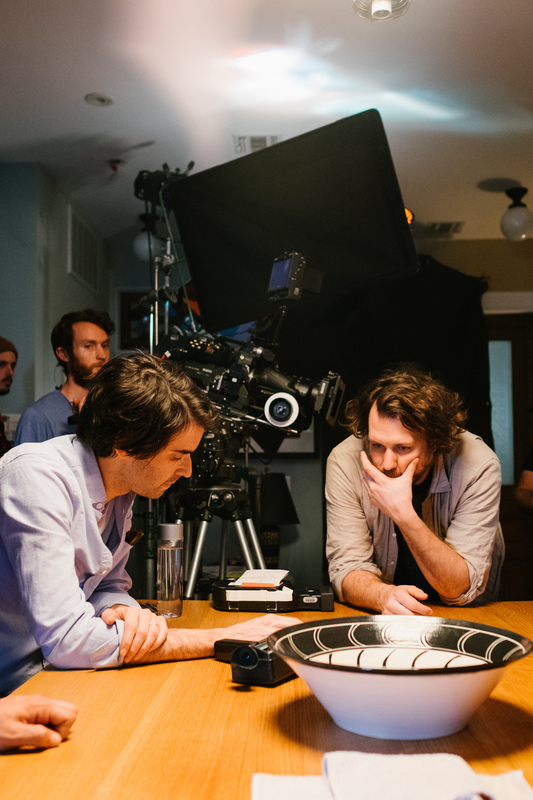 Alex Ross Perry (“Golden Exits”): My first time was with “Listen Up Philip” , which was a huge step forward from my last movie, “The Color Wheel,” which I made for $25,000 with all my friends. This was a sizable, produced movie with a cast of well-known people [Jason Schwartzman, Elizabeth Moss, Jonathan Pryce]. The first days was all the stuff I imagined it would be. I enjoyed the fun of doing press with actors, getting exposed to photo-booth culture, the parties. It felt good to have the first unveiling of this movie that I and many others worked hard on for a long time. My expectations at that time, having grown up reading EW from the ’90s, was the fairy-tale narrative that the gods bestow on two or three people every year. Eliza Hittman (“Beach Rats”): I went in 2011 with a short film, “Forever is Going to Start Tonight,” with no expectations. I watched all the films in the NEXT section and began to think about how I was going to return to Sundance with a feature. It was inspiring. Microbudget work was playing at a top-tier festival. I had that realization: “I think I could do that.” Every time I’ve gone to Sundance, it has opened up the door to the next level. David Lowery (“A Ghost Story”): I learned how to handle rejection. I sent so many movies to them that got rejected — including high school, that’s about 15. That was an important lesson as an indie filmmaker, how to take that and run with it and turn that rejection into something else. They were rejected for a reason. There’s no reason for them to play amateurs at Sundance. I had to figure out a new path. It really helped me to grow as a filmmaker. “What can I do better? What’s the difference between the movies that get in and mine?” A lot of filmmakers need to figure out their own voice, how to convey artistic impulses through a striking m0vie and stand out from the crowd. I had a short film play Slamdance in 2008, and I went in 2010 because I worked on a friend’s movie. 2011 felt like a culmination of a lot of work and personal growth; it felt like the right time when I mailed off “Ain’t Them Bodies Saints.” The day I got the phone call was one of the best days of my life. It was well received, it did what I’d always hoped would happen, and it paved the way for other things to happen. It led to “Pete’s Dragon.” If “St. Nick” had gotten into Sundance — I am glad SXSW supported me — my career would be different. Timing was important. I never felt rushed or like I started too soon. Jeff Baena (“The Little Hours”): Growing up as a kid, I had all these preconceived notions of this unattainable club or rite of passage. With “Life After Beth” in 2014, I had the notion I’d hang out with filmmakers congratulating each other. Drake Doremus (“Newness”): I had the short “Spooner” in 2009, being on the outside looking in, followed by “Douchebag” in 2010. You’re not prepared for an audience so hungry to laugh and feel, rooting for the movie. You feel it in the streets, the energy, you can’t prepare for it until you have a movie there. It gets better going back every time. “Like Crazy”  was an insane, life-changing 24 hours: It played Eccles at noon and we were up all night in a bidding war until 8am when we finally sold the movie to Paramount. It was the most magical 24 hours of my career so far. It was the dream. It’s inspiring to try to touch people, and to have that experience, winning the Grand Jury prize, it was a fantasy, a joke, it wasn’t real. That week was insane and nothing like that will ever happen again. These smaller movies sometimes don’t have the world’s biggest movie stars in them. To be able to go to a place like that and have people see and like your work — it’s like wildfire overnight when people react to it. I can’t say enough how Sundance changed my life. I want to screen a movie in front of a live hungry audience. It’s not about selling movies, it’s about sharing the work. It’s that first connection with an unbiased audience who’s never heard anything, it’s a fresh discovery, that one-on-one relationship in that room is unparalleled anywhere. There’s something really pure about that, it’s the best audience experience I’ve ever had. For “Breathe In” , we did a small art film distributor, Cohen Media Group, it was one of their first English-language films. At the end of the day, people will see the movie somehow. Alex Smith (“Walking Out”): Sundance was basically our film school. Andrew and I worked as crew at the labs in our late teens and early 20s, and with the film festival as ticket takers. We absorbed so much great information like flies on the wall. It was definitely a triumph for us with “The Slaughter Rule” in competition in 2002. The film was so long in the making; we’d gone through the Sundance writing and directing labs. We knew what Sundance was, the brass ring we were reaching. Marina Zenovich (“Water & Power: A California Heist”): We were filming “Independent’s Day” in Park City in 1996 and 1997 and showed the film in Slamdance. 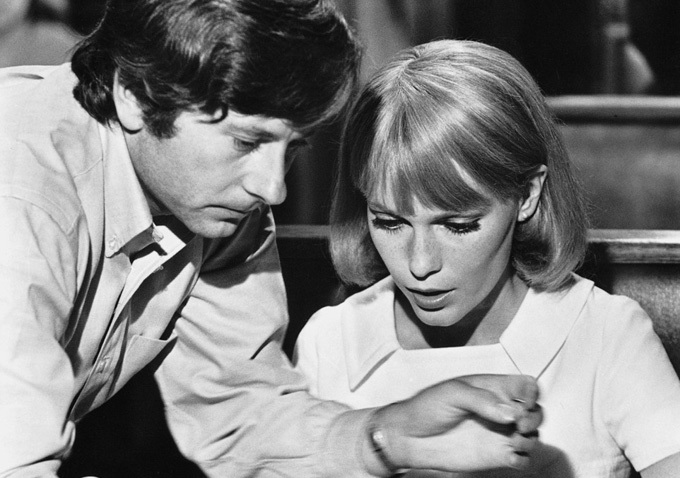 “Roman Polanski: Wanted and Desired”  was a lot of years in the making. Something I’ll never forget: When I was reading the program notes to Polanski’s lawyers, they said, “Why do you want to make a movie about it? Everything is down in the courthouse in the files.” It’s the same reason I’m making a movie about water: because people don’t want to read files; they want to see movies. I had an idea what could happen; I didn’t know it was going to happen to me. It all went down the first weekend. No one was talking about anything, nothing was selling or breaking. When my movie played Friday night, the stars were aligned. Everyone was looking for something to write about. The movie was about a controversial director and subject. It hit at the right time. It had a lot of different offers; John Sloss and Josh Braun were trying to field them all. I was trying to figure out who to listen to and what was the right way to go. We went with HBO. Yes, I was pulled out to meet Harvey Weinstein in the lobby. It happens once in a lifetime. We had a screening at the Sundance Resort; the whole creative team was in the car driving back into town. I read Justin Chang’s Variety review read aloud to everyone in the car, a magical moment that will never be topped in my career. My parents were there, my husband and son, and I was a princess. After Sundance, we had a Cannes premiere where HBO organized a who’s who of directors, then at the Emmys we won best directing and writing, and Polanski got arrested. We went from high to low. We rode out the wave. I was living in London with my husband, we were living in LA temporarily. We realized when Sundance happened that it was such a professional turning point. I got representation, a manager, I suddenly was asked to be in the DGA. It was a life changer. And we decided to stay here. Sundance set the course for my career. We were thrilled to get an invitation this year for “Water & Power” [Nat Geo]. It’s the first time that I officially worked with Alex Gibney, who is a mentor and go-to person for any kind of problem or question. We didn’t know that the combination of Trump and the New Climate section and the topic of our film would be a perfect storm.